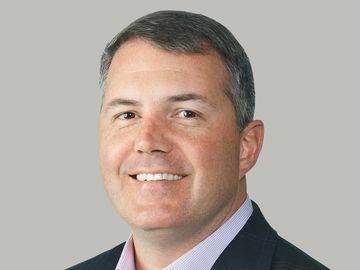 Jack Clare joined Dunkin’ Brands in July 2012 as Chief Information Officer, and currently serves as Chief Information and Strategy Officer. In this role, Jack is responsible for directing all information technology resources, with an intense focus on supporting franchisees and driving restaurant profitability through technology, as well as developing the strategies that will drive the Company’s future success. Prior to joining Dunkin’ Brands, Jack served as Vice President, IT and Chief Information Officer for Yum! Restaurants International, where he had responsibility for the IT strategy for more than 14,000 restaurants in over 120 countries, primarily for the KFC, Pizza Hut and Taco Bell brands. Before Yum!, Jack spent seven years with Constellation Brands, most recently as its Vice President, Technical Services. He also spent three years with Sapient Corporation in various IT management roles. Earlier in his career, Jack was a System and Flight Test Engineer with the United States Air Force. Jack received his BS in Aeronautical Engineering from the U.S. Air Force Academy in Colorado Springs, Colorado, his MS in Aerospace Engineering from the University of Dayton in Ohio and his MBA from the University of California. Jack is drinkin’ a double shot of Dunkin’ espresso and scoopin’ Baskin-Robbins Peanut Butter ‘n Chocolate ice cream.